Uttarakhand Technical University organizes UKSEE(Uttarakhand State Entrance Exam) for admissions to first year of the following programmes offered by the University and other Departments and Government/Private Institutes located in the state. It is a state level entrance exam which provides the admission in Government and Private Institutes. Uttarakhand Technical University(UTU) conducted this Entrance Exam. UKSEE provides admission into first year of B.Tech/ MCA /BHMCT and second year of B.Pharma, B.Tech, MCA and B.Pharma courses. 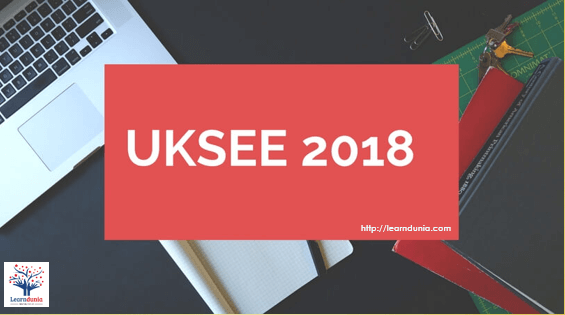 UKSEE 2018 exam dates will be announced soon. If student studied in outside of state and their have Uttarakhand domicile certificate then they are also eligible to apply. Students are also eligible for Lateral entry those passed qualifying examination from Uttarakhand Technical Universities/board. UKSEE Exam will be conducted in offline mode only (based on pen paper). It will be based on objective type questions. For each correct answer will be provided one marks. No negative marking in UKSEE Exam. Students have to fill the application form and fee through online mode only. Students eligible for their desired courses can submit the application form from 1st week of May to 3rd week of May, 2018. Students who are likely to appear in more than one course, have to submit the separate application form for their respective courses. Students will have to upload their recent passport size photographs (35mm×45mm) in the given space. There is no provision to edit the details once the form will be submitted so fill the details carefully. Students are advised to take a printout of the application form and keep it safely. 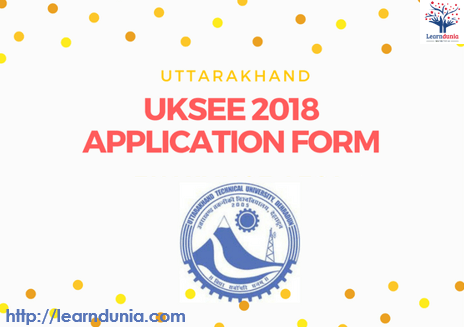 Click on “Apply for UKSEE 2018” button. Now, you have to upload your scanned photograph & signature & then click on “submit” button. The admit card will be available on 8 May so students can downloaded from the website. Admit card will be kept safe till the admission process is over. Students have to bring the admit card issued by the University and one photo ID proof along with them at the examination centre. Before start preparation, understand the syllabus. Create your own time table and followed it strictly. Make short notes and revised the all topics and highlights the important topics. During preparation, maintain your health. Do exercises, it will help you to focus on your studies. Refer the best books for UKSEE Preparation and prepare the most important topics.